Determined, passionate, self-directed - these are all terms that have been used to describe Alpine Valley School students and graduates. But how are these traits realized during a student’s time at school? And how do they benefit the student even after they’ve moved on to other pursuits? 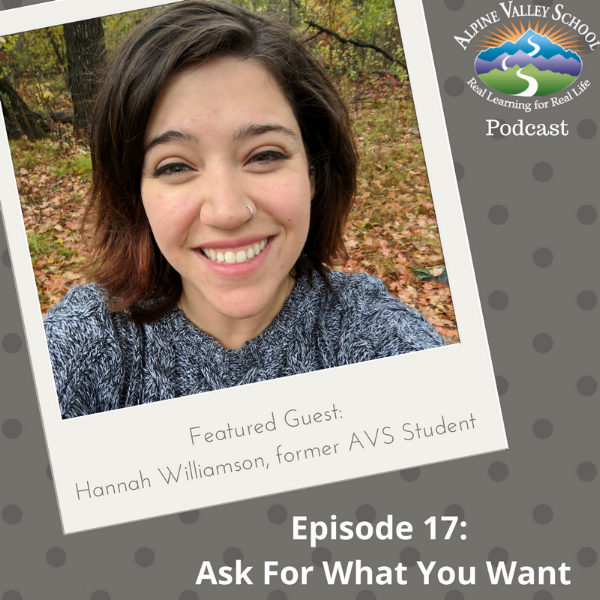 Guest Hannah Williamson, one of the first AVS students, shares her answers to these questions and much more on episode 17 of the AVS Podcast. In particular, Hannah addresses one often-asked question about how AVS students transition to college life - and you may be surprised by the answer!